This movie tries really really hard to be cool and edgy by ramping up the attitude and breezing through the story at a very efficient pace. 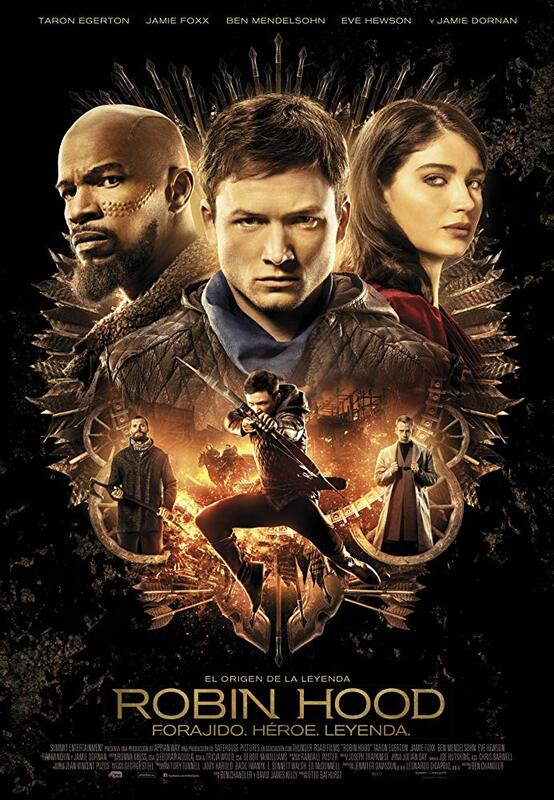 Fortunately, the movie is filled with non stop action which makes the two hour run time go by rather quickly. Director Otto Bathurst seems so excited about a possible sequel, he sets up the entire third act as a transition rather than an ending and things wrap up so quickly, I was left wondering if the movie was actually over right up until the credits began to roll. On the front lines of the cool and edgy effort is up and coming star Taron Egerton as Robin Hood, an actor who I really like but I felt just wasn't the right fit for this part. 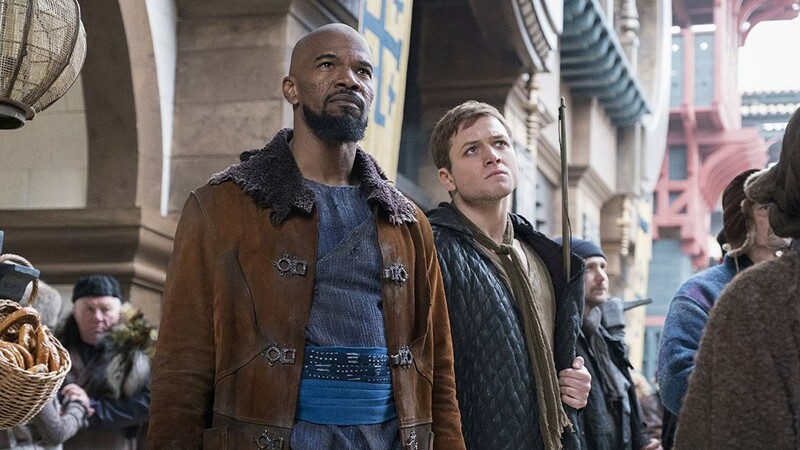 Same goes for Jamie Fox who spends more time trying to be cool and edgy than actually digging into one of the more interesting characters he has ever been given a chance to play. Playing Maid Marian is Eve Hewson who I did not know before this movie and still don't know now that it's over. Her performance is basically what would happen if a young Rachel Weisz time traveled to now to take the role. Also of note is Ben Mendelsohn who gives a valiant effort but it's nearly impossible to shake the comparisons to Alan Rickman's deliciously over the top performance from the 1991 version of the story. I suppose the film makers are hoping their efforts at reaching a new audience will leave that version, which featured Rickman, Kevin Costner, Morgan Freeman, and Mary Elizabeth Mastrantonio all in the previously mentioned roles and all in the prime of their careers. 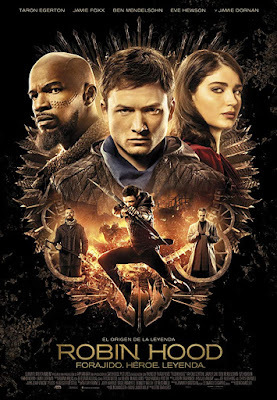 Robin Hood is a decent action movie that is entertaining and fun to watch but the ending will leave you feeling empty and not interested at all in the sequel it so wants to offer you. My advice would just be to watch Costner's Robin Hood: Prince of Thieves and call it good.